With 350MHz bandwidth these units allow video to be simultaneously displayed across multiple displays quickly and effectively. The bases of the units are magnetic to allow for easy attachment to most metal surfaces. Utilising cost effective and readily available Cat5e/6 cable, these units allow extended distances to be quickly and easily covered between AV source and display devices. 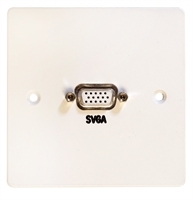 Self-powered VGA switch allowing one of two VGA sources to be selected at any time. The unit can be manually or auto switched. 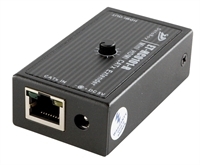 Mini CatX to HDMI converter, which is normally used with the ET-HC0101-T transmitter. 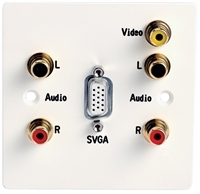 However, it is also compatible with other Databay HDMI transmitters. The receiver has built-in EQ to allow fine tuning of the video image. 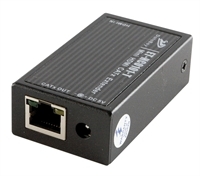 Mini HDMI to CatX converter, perfect for HDMI expansion / digital signage whilst minimising the use of expensive HDMI cables. Normally used in conjunction with a ET-HC0101-R Cat-x to HDMI receiver (right).